I can hardly believe that summer is wrapping up for some families. We have only been on summer vacation for one month now and have a month and a half to go. Has anyone else struggled with the change of rhythm that summer brings? I love having my family at home during this relaxed time, but I’m still trying to balance out their needs with my own. 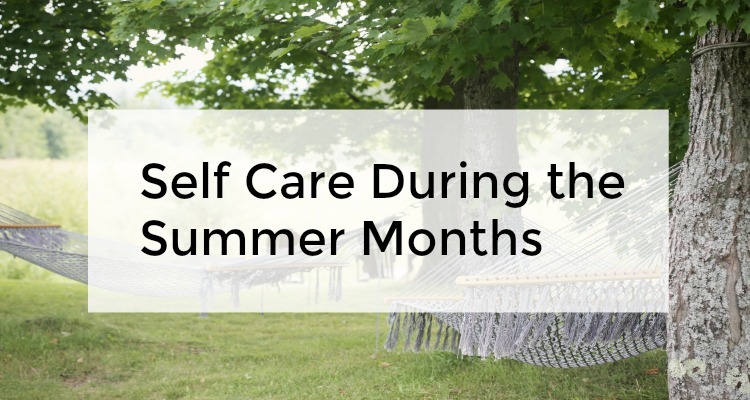 In case you’re also struggling with that, here are 5 ideas for self care during the summer months. We have three sons in three different schools during the year and so our morning and afternoon schedules can be complicated. No carpool and rushing against the clock is a welcome change to the rhythm in our house. My husband is a teacher so he’s off for the summer and able to spend more focused time with the boys – also a very good change. 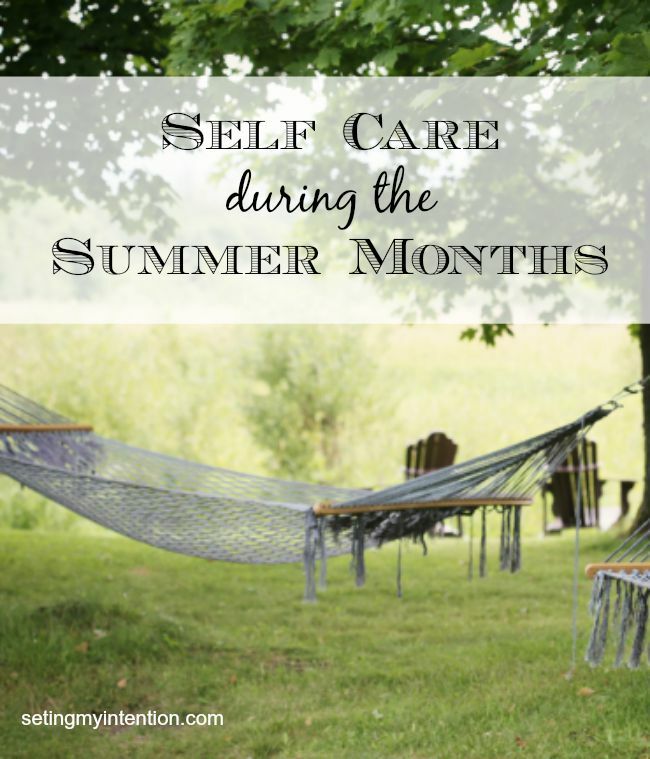 What I am finding challenging is how to continue with my practices of self care during the summer while all the kiddos and my husband are home. When everyone is home, I automatically go into “take care of everyone else’s needs first” mode. My two older sons are staying up later which means I am too, while my youngest son continues to get up early – so there hasn’t been the alone time that I’ve gotten accustomed to during the school year. 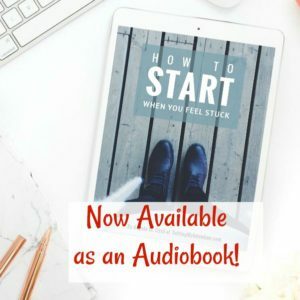 I am an introvert and need time by myself to recharge. I love interacting with people but in order to feel energized, I need a certain amount of alone time to read or write or just sit. Nap for 20 minutes when you genuinely feel tired in the later afternoon. Not a 2 hour nap, but just 20 minutes, it’s scientifically proven to be beneficial – so no more guilt! Take at least 15 minutes to do something that really energizes you. It could be before your kids wake up, after they go to sleep, or during the day when the kids are watching a short (or long) video. Make sure to get some movement and exercise in your day with or without the kids. My family is trying to go on family bike rides and walking together. Keep a loose daily/weekly schedule for the family even during the summer. My two older sons are going to camp for 2 weeks, but other than that they will be at home. If left to their own devices, they would sleep until lunch and then play on the X-box all day. We’ve asked the kids to pick one or two things that they want to learn and practice on their own during the summer. My oldest is learning Korean and my middle son is teaching himself a song on the piano, how to juggle, and wants to learn Japanese (ambitious I know!). Our loose schedule for them is to read daily, practice their goals, and spend time outside. We are making weekly trips to the library and having a weekly family outing on one of my days off. I’d also like to make sure that we each have one on one time scheduled with each of the boys. We try to do that regularly, but in the busyness and fatigue during the year, we often forget to schedule them. 5. And last but not least, try not to multi-task through the day. It’s so tempting for me to try to answer a few emails or do some tasks while I’m supposed to be playing with my sons. It makes the task harder to complete, and also doesn’t make my sons feel good when their mom is distracted. I’m trying to be mindful in my day – when I’m playing or reading to my youngest, I will only be playing or reading. When I am doing work, I will only be doing work. What about you? Has your rhythm changed this summer? How are you taking care of yourself this summer? 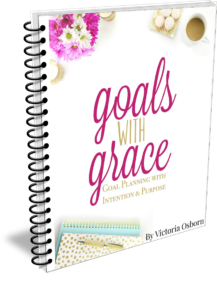 This post is being shared at these fun and fabulous link parties. I am so energized after riding my bike so I would plan lots of bike rides during the summer weeks. We are fortunate to have a couple of trails near us, one shorter and one longer, so it was an easy thing to do. Additionally, we sometimes kept track of the miles we rode, kind of as an incentive. A great tip I read on another blog and forgot I did myself, was to look for library books for myself online and place a hold on them. Whenever they came in, I wouldn’t have to worry about trying to pick out a book for myself while at the same time supervising our children. I could just focus my time and attention on them as they chose books and then grab mine as we checked out. Great ideas Lisa! I also use the library request system for myself and my kids – they’re often reading a series and want the next one lined up. It’s hard to keep up sometimes! Thanks for reading and commenting. Great tips Angela. I’m watching my grand baby. The rule is Nap when the baby naps! And I follow it religiously! No guilt! I followed that rule too when my sons were babies! I’m exploring and wrestling with ways of structuring my time and our time, during the less structured time that is…not just summer…but ALL the time, when you and your spouse are both retired?! It doesn’t come naturally to me, but little by little, we are gaining ground. The most recent, and very unexpected, delight is going to a Silver Sneakers exercise class at a nearby gym twice a week. I didn’t expect my husband to like it, but he loves it, and looks forward to it (another important function of structure: predictability). When we had 3 children plus two foster children, I stumbled on a plan of “Special Days”, one per month, rotating around the children. I would let the teacher know ahead of time, and they’d be out of school for the day, with a budget of $10 for him or her to plan (including public transportation, if they wanted to go somewhere). It was a meager but essential way for each child to have my undivided attention for a significant amount of time, allowing important conversations to happen as well as the pleasurable contentment of feeling…well…special. That’s great that you’ve found something you and your husband can enjoy doing together! I love the idea of special days too – how fun that must have been to get to skip school! The hardest time to manage for us during the summer is that 2-3 week period before camps start. I try to let them sleep in and enjoy the unstructured downtime, but it’s definitely a challenge. My favorite take-care-of-me idea is the nap! Dedicating moments to rest and to energizing activities is a really good way to keep balance! I’ve been very busy lately, but I’ve been trying to make time to read a book, just for fun, for a little bit each afternoon–it’s worth the time spent! My summer routine is, thankfully, slower than my school-year routine. I have also been laid up with a running injury. This has left me with large blocks of open time, to which I am not accustomed. I mostly have been reading, relaxing, and doing whatever I want. It’s been a nice change of pace! That’s so great Jill! Enjoy it while it lasts. I hope your injury is healing well. Great advice, Angela. I am working outside the home and my children are older and doing their own thing, but I still want the summer to be more relaxing than the rest of the year. I think that these ideas can be adapted by women in lots of different situations. Thank you Gaye. I totally agree. Thanks for reading and commenting. I appreciate it!